Silicon Valley based SA entrepreneur Vinny Lingham has invested an undisclosed sum in Ovex, a Cape Town based cryptocurrency exchange, through his VC firm Newtown Partners. The startup, which was founded last year by Tom Masojada (CPO), Jonathan Ovadia (CEO, and Product Architect) and Nikhar Ramchunder (CTO) (pictured above, from left to right), claims to make it easy for South Africans to buy and sell over 18 digital assets using their Rands. Ovex launched its platform two weeks ago. The deal is the fourth this year involving a SA crypto trading platform. Last month VALR announced that it has raised $1.5-million in a seed round led by US crypto exchange Bittrex. In February Coindirect and Revix raised €1-million and R11-million, respectively. Lingham (pictured above) said in a statement last Wednesday (27 March) that South African’s have a deep interest in cryptocurrency and in bitcoin in particular. “It is my hope that Ovex will provide South Africa a secure, affordable, and fully featured avenue to get into the crypto space,” he said. 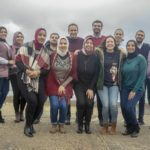 Ovadia said in the same statement that he and his team have been working on the startup for over a year and are proud of the offering they’ve built. “Our goal is to provide the South African market with a world class product and more importantly world class liquidity,” he said. Ovadia claims that he and his team have developed an exchange for all types of crypto enthusiasts, with an “advanced” trading interface as well as a “simple one-click buy or sell option”. “We met Vinny via Newtown Partners, we reached out to Llew Claasen, the MD there, through a connection in the Bitcoin Foundation and he was very interested in our project due to its strong team and our world class product,” Ovadia subsequently told Ventureburn in an email. Ovex has begun to roll out what it calls a “revolutionary” new type of interest account, offering users the ability to earn up to seven percent interest on their crypto balances. This is enabled through sophisticated market making practices that have been developed in house by the Ovex team. The Ovex interest account is available in over 18 different cryptocurrencies. Through the use of artificial intelligence and a partnership with Lingham’s blockchain identity firm Civic, Ovex users who wish to withdraw more than R20 000 are able to verify their identity, a process known as KYC to prevent fraud and money laundering, in a matter of minutes compared to days as is typical on other platforms. Ovex has also secured a partnership with San Francisco based TrueUSD. This will allow Ovex users to purchase TUSD, a US dollar backed stable coin, at the bank rates and have it deposited directly into their Ovex account wallet. It will mean users can buy cryptocurrency at international rates and avoid the premium, which is often as much as 10%, on other local exchanges. 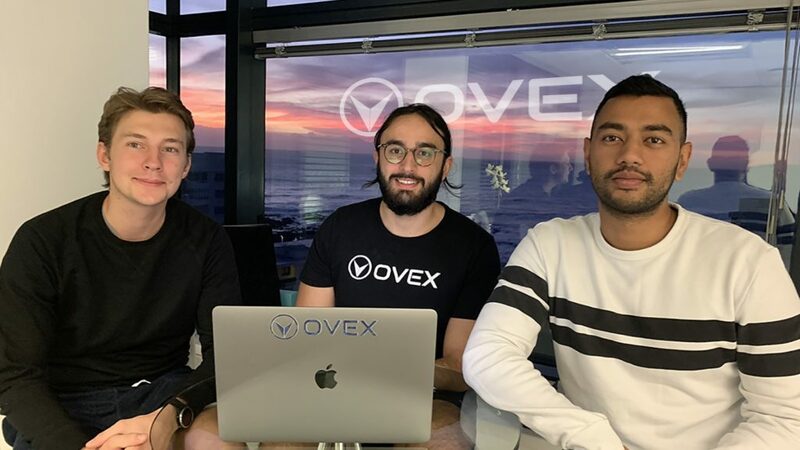 Ovex said it will soon be releasing a regular podcast series that is aimed at involving more South Africans in the global discussion surrounding the future of cryptocurrencies and blockchain technology. Upcoming episodes will feature both local and international industry leaders such as Lingham, Simon Dingle, author of the book In Math We Trust, Daniel Schwartzkopff, CEO of Invictus Capital, and Tory Reiss, Co-founder of TrustToken, the platform behind TrueUSD. Responding to questions from Ventureburn, Ovadia said in an email that while there has been a downturn in the market with token prices plummeting, Blockchain and Cryptocurrency is still a “revolutionary” technology with the ability to improve the lives of billions of people. “The industry is still in its infancy and has a lot of challenging obstacles to overcome, however the smartest people in the world are working tirelessly at these problems and will inevitable find solutions,” he said. He said in addition, there are a lot projects and tokens that are “incredibly” undervalued because of the current bear market. This, he said makes it the very best time to get involved. “It’s a funny thing about the human condition: Everyone wants to buy crypto when the prices are inflated, but the second they are undervalued people decide to stay away. It’s like Buffet says ‘Be fearful when others are greedy, and be greedy when other are fearful’,” he commented. Says Ovadia: “At Ovex it is our mission to give South Africans access to these opportunities on the same level as international hedge funds and at the same price. And we are very excited to say that we are the only exchange that is able to offer crypto for sale at the international price guaranteed, through our partnership with TrustToken”. *Correction (3 April 2019): In an earlier version of the article we misspelt the name of Revix. Ventureburn regrets the error.